If you're looking for that small getaway for an artist's studio, somewhere to relax after waterfront activities, or just spend time in a quiet coastal village, this cute old-timey cottage in Oriental is the place for you. Walk or bike to all shopping and restaurants in the village. Recent updates include all new interior paint, new kitchen cabinets and countertops and stackable washer/dryer. 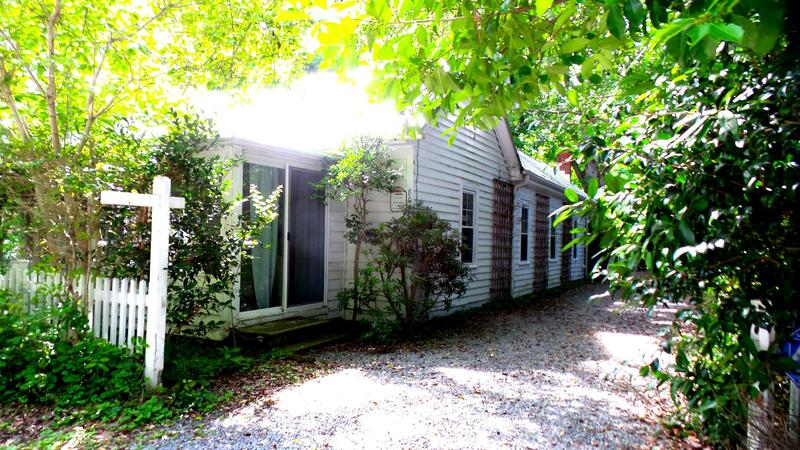 Lovely Brazilian cherry floors throughout, enclosed front porch with mini-split HVAC. Large attractive yard with gorgeous magnolia trees and other mature landscaping. Ceiling fans in every room.